In recent decades, Afghanistan has experienced more than its fair share of adversity. A combination of wars and religious strife have conspired to create real hardship, not to mention imminent physical danger, for Afghanistan's people. The impact of Afghanistan's economy has been profound – since the 1980s, Afghanistan's GDP has actually declined. However, in recent years, some rays of hope have started to shine, with GDP growing at a healthy 11% in 2012. A lot of that is due to the money that has poured in since the 2002 invasion, but there are signs of natural growth in the economy as well. One area that has continued to suffer, however, is healthcare. 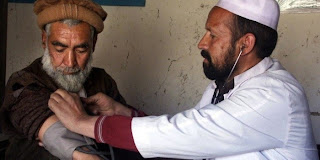 There has been some progress, but healthcare continues to be both inaccessible and unaffordable for many Afghans, who subsist off an average income of less than $1000 a year. The problem is made worse by a large rural population situated a long way away for the limited health care facilities that do exist. In a country that still is rife with polio, tuberculosis and malaria, that's not a good thing. There does seem, however, to be an increasing trend to try to bridge the gap with mobile health care – including telemedicine. As recently as July, 2013, Médecins Sans Frontières announced that they were launching their first mobile clinic in Afghanistan. Roshan, one of Afghanistan's mobile telephone providers, has also been active since 2007, developing telemedicine solutions to plug gaps in the healthcare system, as well as deploying e-learning solutions. In fact, using mobile technology to bridge the healthcare gap may be the way to go. 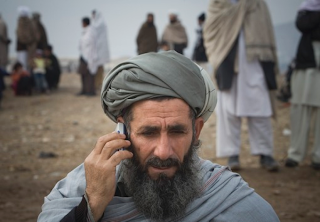 Since 2002, Afghanistan has been increasingly well served by mobile phone companies, starting with Ehsan Bayat's Afghan Wireless in 2002, and then followed by several others. Despite its relative poverty, there are over 18 million mobile telephone subscribers in Afghanistan – with 85% of the population being in coverage areas. There are further plans to construct over 400 more towers to bring coverage to the remaining 15%. 3G data services have also been introduced to the market recently. That may be good news for more than just healthcare. Here's why. There is a significant positive correlation between mobile subscribers and economic growth in emerging economies. According to a Deloitte study commissioned by the GSM Association, a 10% increase in mobile penetration (the percentage of people in a country that have a mobile phone) increases productivity by 4.3% in the long run. Mobile data drives further improvement – if 10% of mobile subscribers in a country migrate from voice to data service, GDP growth increases by 0.15% per year. This is especially important in developing markets, as fixed line services are often not available. While healthcare in Afghanistan clearly has a long way to go, mobile technology may be able to deliver a one-two punch. First, it has the potential to bring healthcare to where it's needed most. Second, it could spur on the economic activity needed to support core improvements in the healthcare system, as well as other social services.